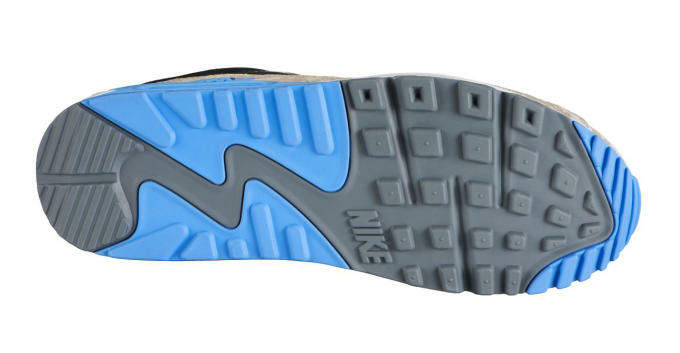 As the 25th anniversary of the Air Max 90 comes to a close, we&apos;re getting an exclusive preview of what Nike has planned for the retro runner in 2016. Seen here in three different styles, this range includes two camo-dipped makeups along with a colorful suede pair. 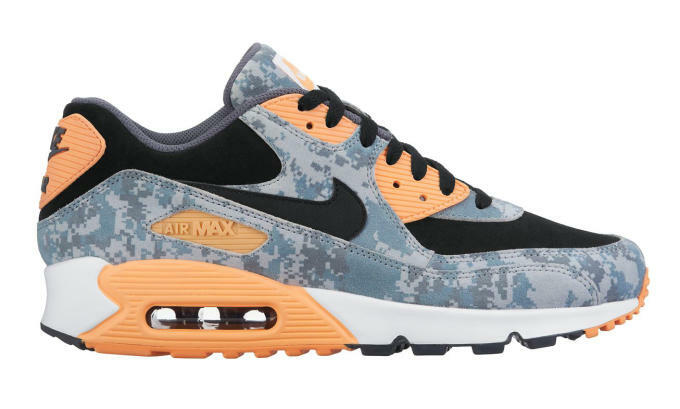 First up is the colorway above, which features a black base, blue camo overlays, and what looks like it could be an "Infrared" shade of orange on the accents. 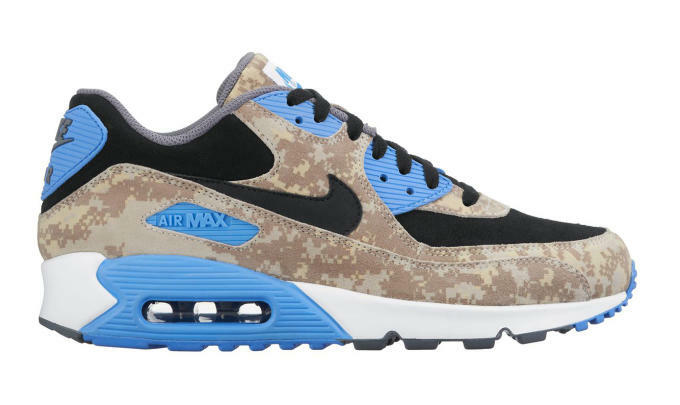 Those are followed by another camo variation in black, brown, and blue. Straying from the camo theme is a mesh and suede-based pair in white, brown, yellow, blue, and red that&apos;s been finished off with a metallic Swoosh for good measure. 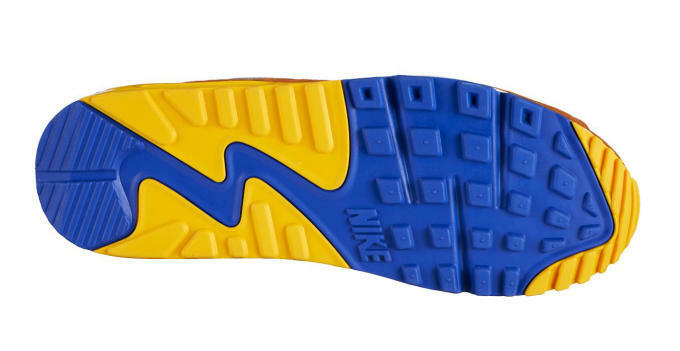 The tongue label also differs from the traditional Air Max 90 branding, although it&apos;s hard to tell what the graphic is based on these images alone. 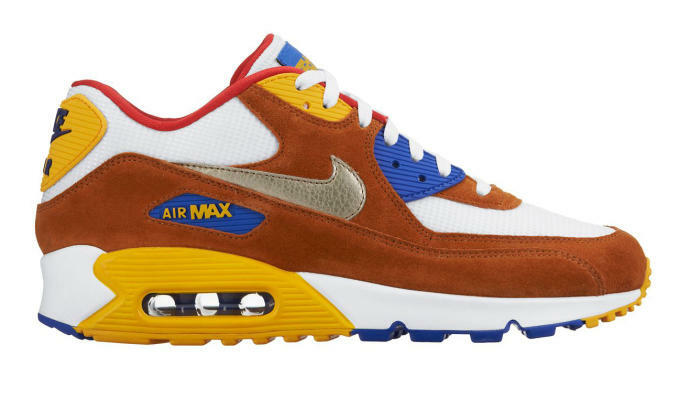 Check back soon for the latest on these and be sure to visit Tierzer0.com for a complete list of Air Max 90 stockists.